Ok, back from vacation and focusing on finishing up Dink! I’ve sent out the first beta (universal binary for all iDevices) – hoping to hear it works ok. 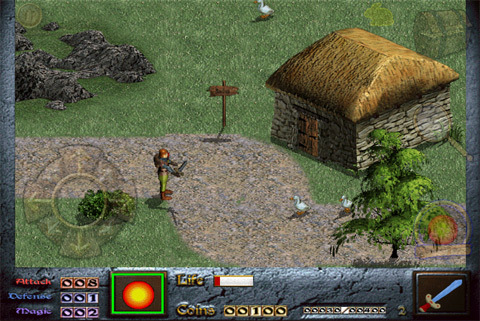 In the meantime, will run through and apply some more features and fixes, and also see if I can get out a PC version. 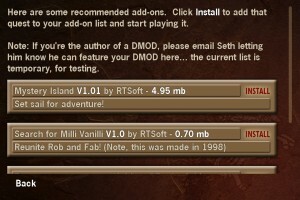 One nice new feature is the ability to perform 1-click DMOD install/play from a “browse” menu directly inside the game! If you’re interested in joining the Dink beta, it ain’t too late, drop me a line with your device UDID. This entry was posted in Development/RTsoft, Dink Smallwood on August 27, 2010 by Seth. This is great. You rule, sir. It’s nice to see this progressing so well and solidly. :) Do you think it might see a public release this year? Yep, if things go decently I hope to send a final build to Apple within a week. After that, it’s in their hands! Oh by the way, if you are planning to charge for D-Mod support, I think the Dink Community will come crashing down. I think you should charge for the game and leave D-Mod support free. If you already planned to do it that way, sorry to bother you. However, I have concerns regarding releasing the game for free but charging for d-mod support. It’s… why aren’t you charging for the game itself? I agree.. the current plan is to charge $3 for the game and include DMOD support – I think this is reasonable considering it will support all iDevices. 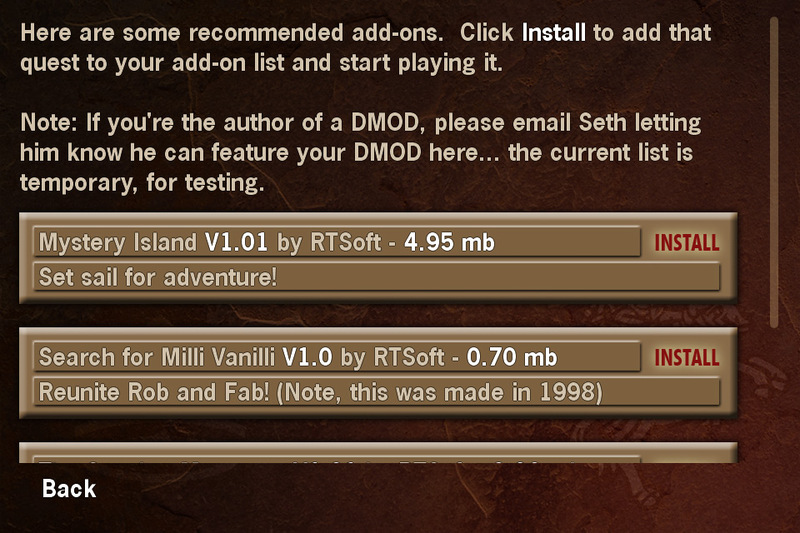 I’ll release PC/Mac versions also, those of course will remain free. Basically those are the iPad version without the touchscreen controls.